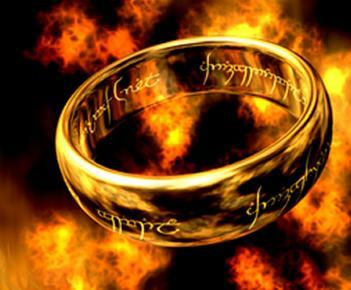 In The Lord of the Rings, most of the attention is given to the Dark Lord Sauron’s quest to gain control the One Ring. The “one ring to rule them all” has the power to control a set of rings given to the rulers of Middle Earth’s other populations, and through these leaders, their people and cities. Since Kevin Rose’s short-lived tweet about a new social network called Google Me to compete directly with Facebook a lot of thought has gone into what will set this effort apart from Google’s earlier social attempts. Google Buzz and Orkut have failed to find traction, and while Google Profiles is useful, the site is more a series of islands than a real community. All of Google’s social services share that island feel, with little interconnectedness and much isolation. Whether this is due to the numerous Google teams or a purposeful decision to stay away from a centralized system, Google has built up a number information silos. It’s possible that Google Me is just a master control page, with access to all Google services in one central location. Facebook users interact through a few key elements: the Newsfeed, chat, photos, videos, profiles, and apps. Google could roll out a Facebook clone of sorts that could unite a number of their services to match those core Facebook offerings. Buzz is the obvious centerpiece of a Google Me homepage. Like Facebook and FriendFeed (which was acquired by Facebook), Buzz can import social interactions from other services like Twitter and flickr in addition to acting as a commenting and status updating system. The Buzz pane would be the central feed highlighting all of your news and updates from friends and family. Google already has a better chat client in Gmail than Facebook what has implemented. With the ability to do text and video chats, the same basic Google Talk widget in Gmail could be relocated to the same spot on the Google Me homepage. While it is not as popular as flickr, Picasa is a nice photo site and Google Me could simply act as an interface to a Picasa account. This idea would fit nicely with Google’s commitment to openness and their Data Liberation Front – all of your photos would be manageable in a full-featured photo site but still easily shared through your social network in the way most people are used to – the Newsfeed. YouTube integration would function the same way. Your Google Me account would store your shared videos in your YouTube account and feed that content into your Google Me homepage as you decide to share it. With YouTube’s built-in rating system, people could give videos a thumbs-up while viewing it on Google Me or on YouTube. The video chat function in Google Talk could be rolled into a video chat client or vlogging tool for creating short video updates to share with your friends. Again, because this would be based on YouTube technology the formats are already well accepted in browsers and by users. While Google Profiles are not an exact replacement for those found on Facebook, they are close enough for a start. Just add a link from the Google Me homepage to the profile and voila, instant profile. The tricky part for Google could be competing with Facebook applications, but with support for gadgets in Gmail and on iGoogle custom pages this might not be a very difficult addition. Google also has a trick up their sleeves: the Chrome Web Store. At Google I/O an app store was announced, giving us an idea of how applications will work on the upcoming Chrome OS. Because the apps are compatible with other browsers as well, apps on the Web Store could be rolled right into Google Me. All the parts of an amazing social network are already exist in Google just in pieces. All Google needs to do is create a killer interface where these pieces all work together. Even better for Google, this fits in with their larger Data Liberation Front policies; all the content could be viewable outside of Google Me. Your grandmother wouldn’t need a Google Me account to view your photos or videos because they are really stored on Picasa and YouTube, one short link away. If Kevin Rose’s source knows what they are talking about Google could be much closer to seriously challenging Facebook than anyone thought – it’s hidden in plain sight, just like the One Ring.